Acquiring the proper tennis skills and fundamentals to compete at the highest levels can be incredibly difficult, especially if you lack a team of mentors that possess the skills and knowledge you need to succeed while on the court. Worse yet, failing to surround yourself with high-caliber tennis coaches could lead you to become easily frustrated if you are wanting to advance to collegiate of professional levels of play. Fortunately, if you are searching for the best tennis academy in the Bay Area and the surrounding areas of California, you’re in luck. For this reason, in today’s article, we will be talking about a few of the many ways that our professional tennis instructors can help you refine and expand your skills while competing on the court. If you are searching for a team of highly skilled tennis professionals that are devoted to helping you outmatch the highest levels of competition, our friendly team at Gorin Tennis Academy has you covered. 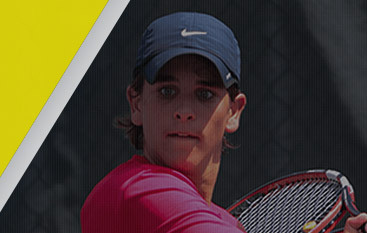 You see, we’re more than just the Bay Area’s top tennis academy. In fact, we offer an all-in-one solution for tennis athletes that are driven to become the top competitors in their league. As the only certified Global Professional Tennis Coach Association member in the United States, we are able to offer the leading fundamentals and techniques that surrounding tennis academies simply cannot match. This is just one of the reasons why 85 percent of our students go on to earn collegiate scholarships or compete at the professional level. 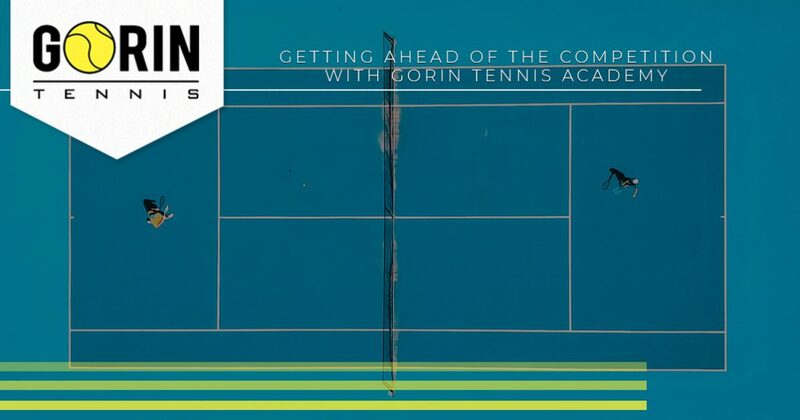 Learn how you can get ahead of the competition today with Gorin Tennis Academy! The only way to become the best is to train against the best. This simply cannot be stressed enough. One of the biggest mistakes that young tennis competitors make is choosing to play against lesser opponents that do not challenge them on the court, both physically and mentally. While you may feel good about securing another win, you may be hurting yourself when it comes time to move onto higher levels of competition. As you progress throughout the world of tennis, your competitors will begin to easily spot your weaknesses, leading them to exploit every part of your game that is lacking. At Gorin Tennis Academy, however, you will be able to train and compete against the best, ultimately forcing you to sharpen your weak spots in order to experience success. We know how difficult it can be to work on certain aspects of your game if you don’t have the right tools at your disposal. This can lead to undue frustration on your behalf, ultimately hampering your progression as a tennis competitor. That’s why, at Gorin Tennis Academy’s state-of-the-art facility, we provide all of our students with the tools necessary to excel athletically. From a number of premium tennis courts to the best tennis equipment for your specific needs, you can rest assured that our facility was designed with our tennis students in mind. So, instead of wondering whether or not our Bay Area tennis academy is right for you, consider stopping by today to take a tour of our cutting-edge facility! If you have been searching for the best tennis instructors in your area without much luck, our tennis lessons and tennis camps are perfect for your needs. As one of the best tennis academies in the Bay Area, we are staffed by professional tennis instructors that know what it takes to ensure that you impose your will on your opponents, thanks to hands-on training and personalized guidance. All of our tennis instructors work hand in hand with each of our students so that they are able to easily identify where your weaknesses lie, recognize improper techniques while competing on the court, and correct your fundamentals to help polish your game. Many tennis academies lack a desirable instructor to student ratio, leading to vague training that leaves much to be desired. Don’t fall victim to overcrowded tennis academies that are more concerned about their bottom line than they are their students. 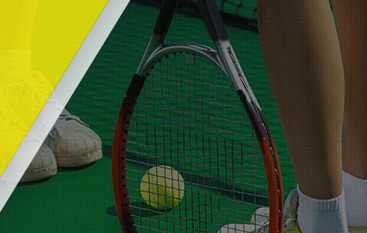 Get in touch with the Bay Area’s tennis professionals at Gorin Tennis Academy today! 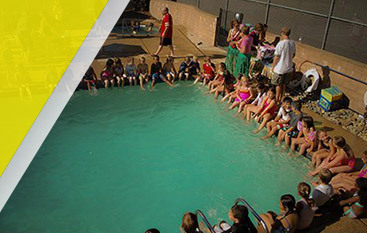 Being one of the most reputable tennis academies in California, Gorin Tennis Academy has partnered with some of the top schools in the area that allow students to focus on their athletic abilities while also receiving a quality education. With a number of schools to choose from, we have made it easy for the most serious students to elevate their level of play while increasing the likelihood of receiving athletic scholarships to some of the best colleges around the country. For this reason, if you are interested in learning more about how we can help you find a school that accommodates the busy schedule of a tournament player, don’t hesitate to reach out to our team of professionals. We know that you may have additional questions or concerns regarding how we can help you reach the highest levels of competition through one-on-one instruction. To learn more about our tennis academy, simply complete our contact form or call our office today. We work hard to respond to all inquiries in a timely manner, and we do everything in our power to ensure that you receive the knowledge and skills necessary to outmatch your opponents throughout every level of play. Contact us today to learn more!